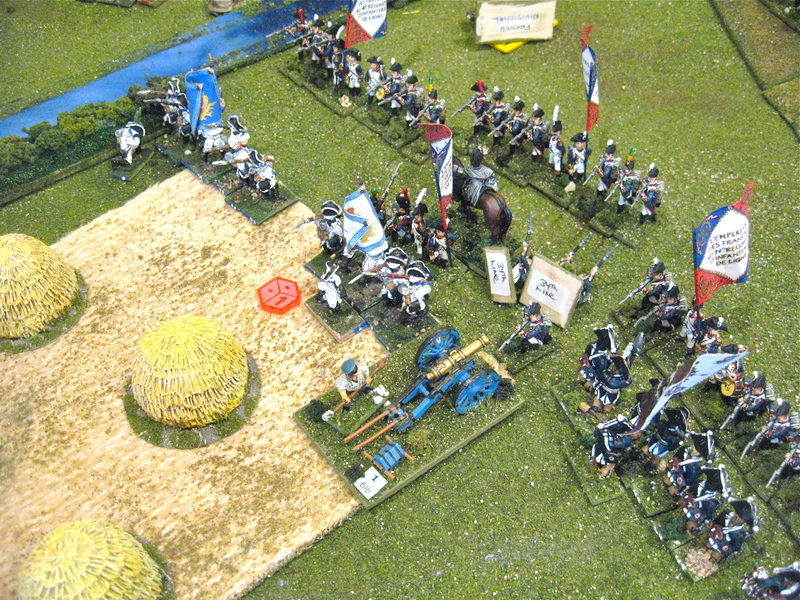 Last week I posted on TMP the group's Battle of Halle 1806 France vs. Prussia game and scenario. 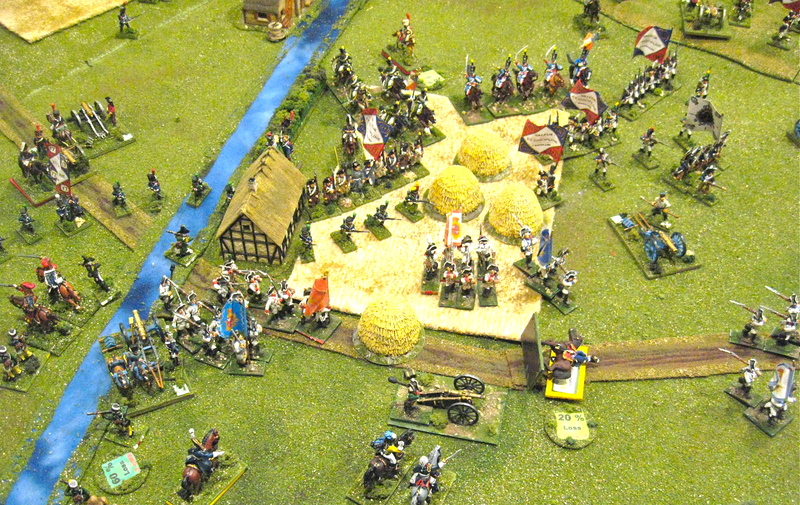 This week I add a previous battle fought on the tabletop which predated the Halle battle; the Battle of Saalfeld 1806. 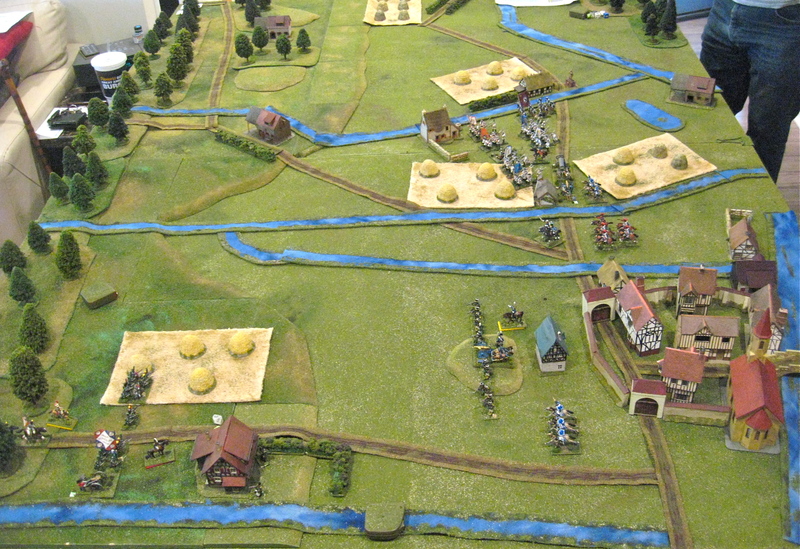 Most of the scenario the Prussian and Saxon army held their ground…. but at the end their ranks broke and history was repeated. Prince Louis survived this time. Soon a post and AAR on a different action….. 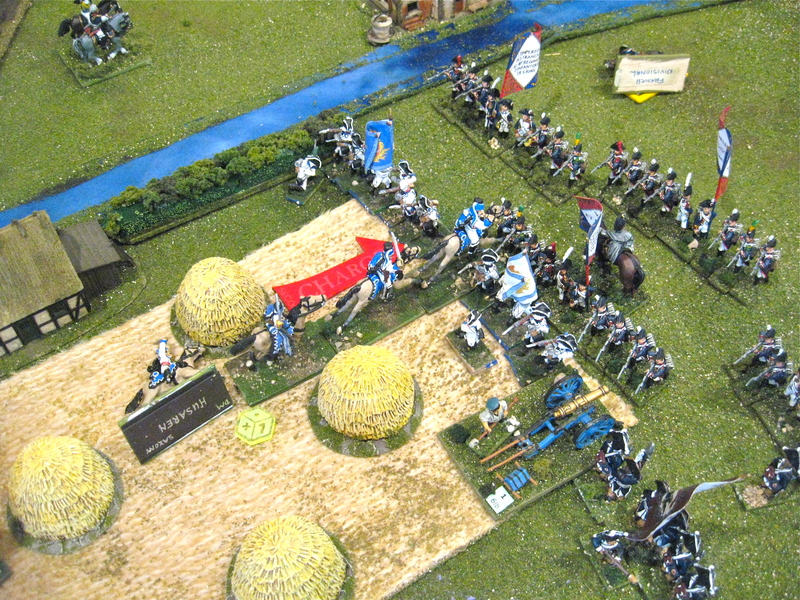 The Battle of Arronches 1801, an "action" during the War of the Oranges (Portugal vs. Spain with distant French backing). More fun in the gaming warren as plans for the full Jena 1806 battle scenario to be fought at HMGS-PSW convention this October (13/14th), the same month day as the historical battle. Nice to see this battle being done! This battle was the subject of my first ever miniatures game. Thank you to all for comments. Jena 1806 for October 13-14th 2018 is the next goal at HMGS-PSW convention (Los Angeles CA). All are welcome at the game warren if traveling in the area.